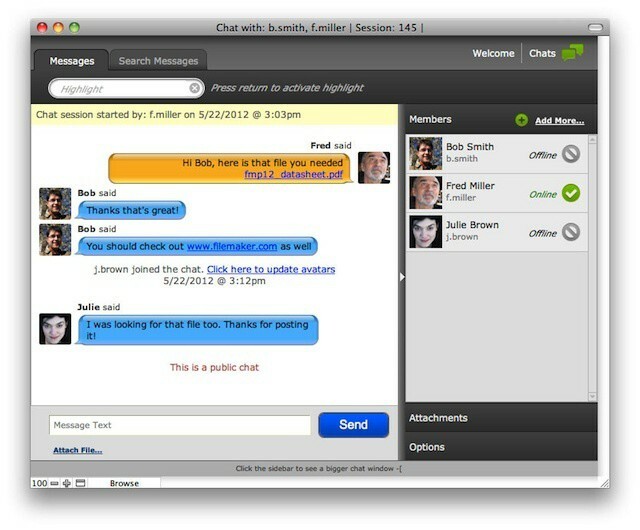 FMChat add chat/messaging features to FileMaker database. SeedCode has announced a new and very impressive template/add-on for FileMaker Pro 12 and FileMaker Go that let’s FileMaker developers build real-time instant message style chats into FileMaker database systems. The new template, dubbed FMChat is built entirely using FileMaker 12, which means that no additional backend system is needed to use it. FMChat is particularly impressive in that it allows chat participants to interact with each other and with database content. It’s even designed with automation in mind. Chat sessions can be used to trigger scripts and automated actions. Potential actions appear as links in the chat transcript. The template can be used in a number of different ways but some examples include approving purchase orders, accepting event invitations, and closing help desk cases. We’ve profiled a range of companies and products during our Mobile Management Month event. One of the things that seems to stand out to some readers is the number of companies that offer mobile management as part of a larger set of enterprise and IT solutions. 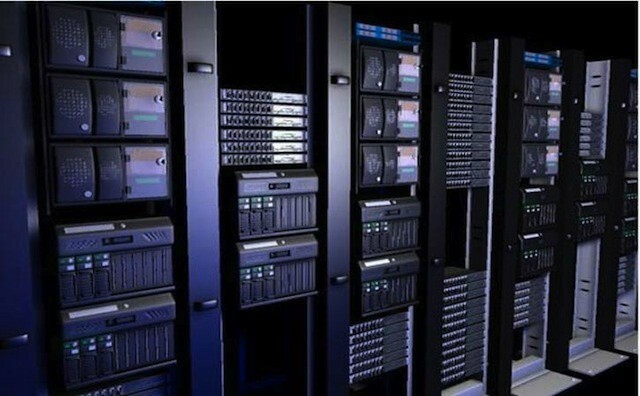 Integrated solutions are nothing new to IT. 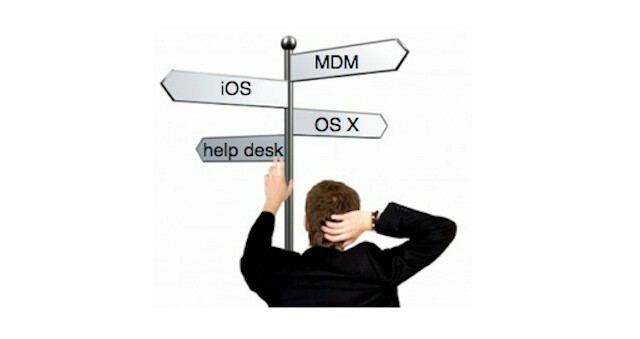 The cultural shift of mobile devices and BYOD programs, however, have many organizations wondering whether to go with an integrated or branch out into new territory and use a range of deployment, management, and monitoring tools for desktop systems as well as mobile devices like the iPhone and iPad. 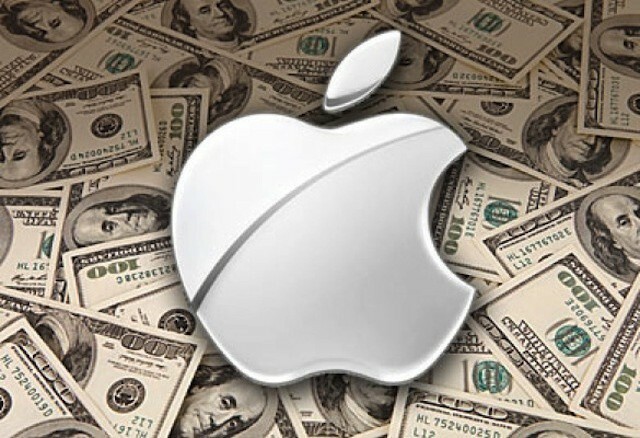 There are a handful of intrinsic beliefs that Apple has as company – most of which came from Steve Jobs. The constant focus on building experiences rather than just products is one of them. Another is that Apple looks forward and not backward when it comes to technology. The company simply acknowledges that to offer its users truly great new experiences (and products), it cannot hold onto (and be held back by) outdated technology. Apple often gets criticized for pushing its technologies and its users forward, particularly in business and enterprise IT circles. 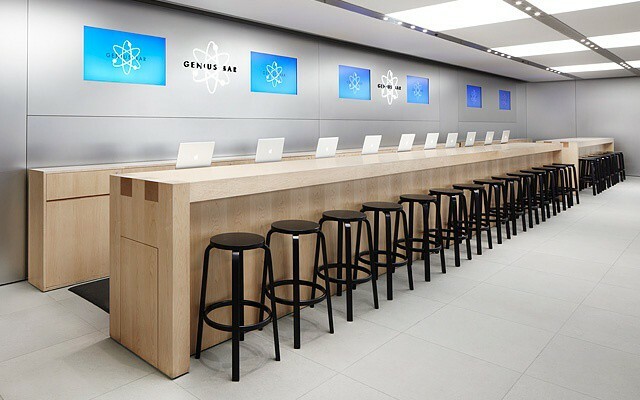 Despite that criticism, Apple may be doing companies (and users) a big favor by not supporting older Macs and OS X releases indefinitely as Microsoft does with Windows XP – and that advantage isn’t just about better products. An IDC study commissioned by Microsoft discovered that supporting XP now costs companies and schools five times what it would cost them to support Windows 7 – making Apple’s forward-looking policy not only technically advantageous but also significantly less expense in the long run. It doesn’t take a huge stretch of imagination to picture some of the ways that the iPad can be used in the workplace. The idea of it as a sales tool, an electronic medical chart, and as a digital textbook device all come immediately to mind as common on-the-job iPad uses. But the iPad’s versatility lends itself to a variety of industries and jobs that you’ve probably never considered. One example is agriculture management from the cab of a farm combine – one of the unexpected places to find the iPad that Hard Candy Cases CEO Tim Hickman mentioned to me during a recent conversation. 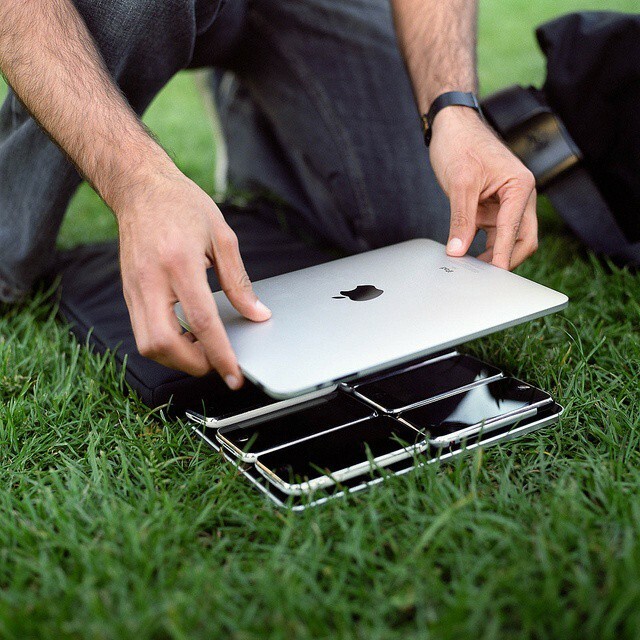 His company, which also produces the ruggedized Gumdrop Cases, has received bulk orders for iPad from some surprising sources and has led to iPad adoption in places beyond where most of us would expect. I decided to follow up on that conversation with some research of my own.